I offer Reflexology, Hypnotherapy, Kinetic Shift, Reiki, Nutritional Therapy and Hypno-Zone Therapy in Wymondham and Attleborough and the surrounding areas. My journey into alternative therapies began many years ago after I was diagnosed with a potentially devastating illness. I began to look for an alternative to the 'solution' which was offered to me by the NHS. I was recommended to try Reflexology, firstly to combat the stress I was under whilst waiting for a diagnosis, and secondly to help alleviate some of the symptoms. It blew me away! Here was the answer to many of the questions that the doctor's were struggling to answer. By gently manipulating the feet a Reflexologist can identify areas which may be compromised within the body, and by gently stimulating these areas a response can be ignited. Coupled with the fact that Reflexology is incredibly relaxing the body is then given the tools to begin to heal. Reflexology can help with a myriad of health issues such as back and joint pain, infertility, IBS, hormonal problems, stress and anxiety and many many others. 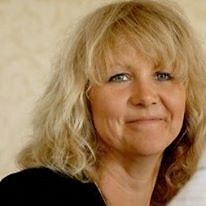 I graduated in Reflexology in 2008 and have worked for a Cancer charity as a Reflexologist, seeing first hand the benefits of Reflexology on Chemotherapy patients, I have also worked for a few years as a Reflexologist in a Mental Health hospital and run courses in Reflexology for Norfolk County Council. I now work from my Therapy Room near Wymondham. My interest in Nutrition came from my years as a chef, running my own catering company, and also from trying to find a way to heal myself. By using food as medicine we can alleviate inflammation, heal the gut, spark chemical changes within the body and address many health problems and illnesses.Nutrition remains a passion and I use my knowledge to compliment my other therapies. Hypno-Zone Therapy NOW AVAILABLE! This pioneering treatment combines Hypnotherapy, using relaxation techniques and visualisation to relieve stress and reset the stress responses, with the therapeutic effects of a full Reflexology treatment for a really intense stress busting treatment. All Hypno-Zone Therapy sessions will take place in my therapy room to ensure complete peace and quiet. I firmly believe that I have found a way to overcome many of the illnesses and diseases which have become a part of our society today. I remain convinced that by taking an holistic approach to health, we can address the imbalances and disturbances within the body. When equilibrium has been achieved, then optimum health and well being will be sustained. I am qualified in Pre- Conception, Assisted Fertility and Pregnancy Reflexology, this works to help to create optimum conditions within the body for conception and pregnancy and culminating in a shorter and easier labour. Call me for more details. I am a qualified Reflexologist and a full member of the Association of Reflexologists. I hold a Master Practitioners certificate in Clinical Hypnotherapy and NLP .I specialise in treating Stress, Anxiety, Fears and Phobias. I am also a level 2 Reiki practitioner and I hold a level 4 NCFE certificate in Clinical Nutrition and am fully insured. Appointments available Monday- Friday 9am - 8pm. Saturday appointments by arrangement. Brilliant, I came to Marie with survive IBS she was able to work on the areas that I was most in pain and really helped me recover. Hypno-Zone Therapy has evolved through my love of Reflexology and Hypnotherapy. By combining the two therapies, offering a relaxing, re balancing Reflexology session with visualisation techniques and Hypnotherapy the client feels much more in control of the session and, therefore, much more relaxed and open to positive suggestions. I have found this pioneering technique to be incredibly powerful in helping clients to combat their stress and anxiety, finding that, after just one or two sessions, they are able to recognise their stress patterns and allow their subconscious mind to regain control of their thoughts. Each Hypno-Zone Therapy session will last one hour and costs £45. If you would like more information please call me for a no obligation chat about how I can help you.